One of my favorite parts about having my sister-n-law, Oi, from Thailand in town for the last month was cooking with her. I’ve never seen Dom’s mom lift a pan or Chef’s knife, unless she was slathering it with soap and water at the sink. So, his sister learned how to cook from her aunt, and Oi’s mouth-watering Thai food is a testament to her aunt’s pro Thai cooking skills. 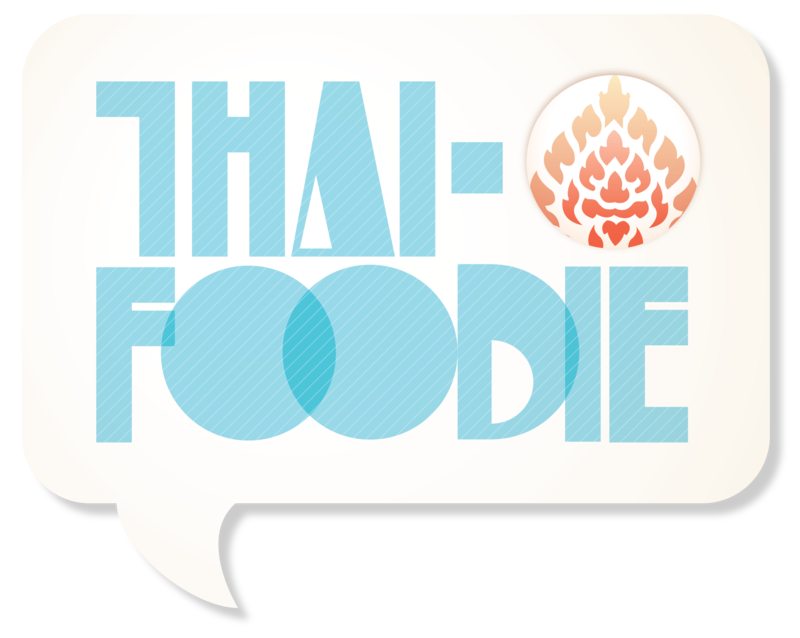 Since Oi could get all the classic Thai food dishes in Thailand, and I cook those a lot, we chose to cook fun, new recipes she found on Thai cooking blogs written in Thai. I got such a cooking rush making Thai food I hadn’t had in ages, or Thai fusion dishes that were such funky twists on typical Thai dishes. 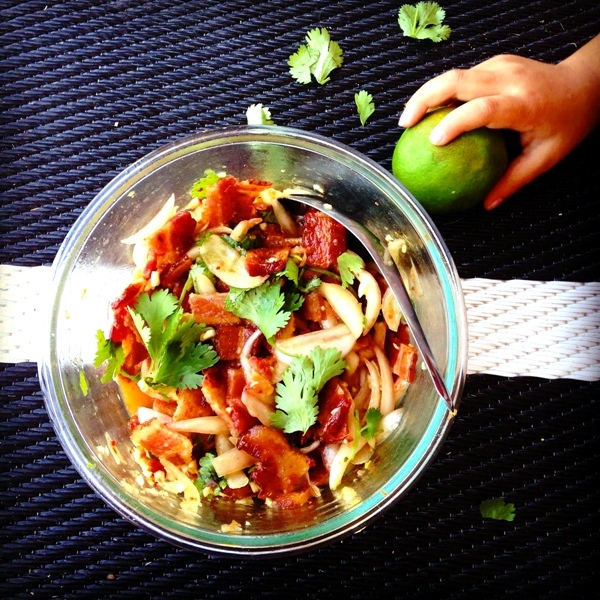 An awesome Thai fusion dish we made together, was Bacon Yum, a Spicy Thai Salad with Bacon. 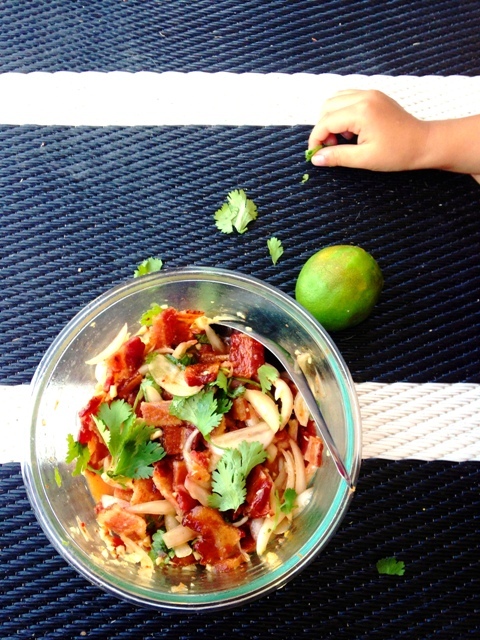 One of my guilty pleasures is bacon, so as I ate the bite-size pieces of crispy bacon slathered in a Thai sweet, lime, garlic and chili sauce sprinkled with cilantro, I felt like I had entered the gates of heaven. Bacon Yum took only about 10 minutes to make, and our only regret was that we didn’t make more! Try it with some jasmine rice and a Thai-Style Omelete for dinner, and tell me what you think! 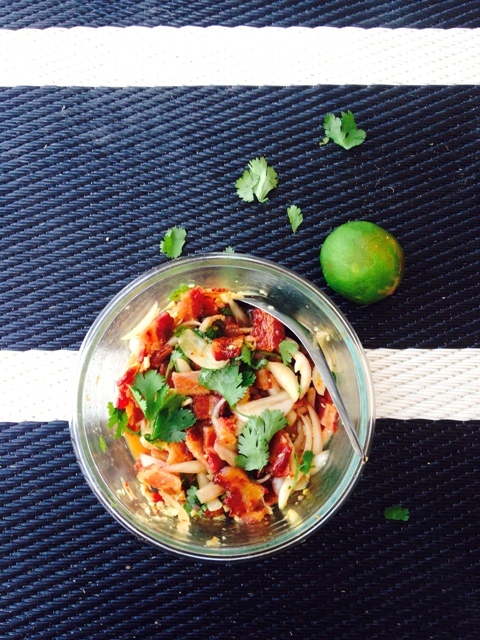 Try one of our favorite fusion Thai dishes, a Thai-style salad with crispy bacon and a spicy, sweet, savory Thai sauce! Make the bacon whatever way you prefer whether it's baking it in the oven at 350 degrees for about 15 minutes, microwaving it about 1 minute per slice, or cooking it on the stove top. Once bacon is cooked (I prefer it crispy for this dish), chop it up into bite-sized pieces as show in pictures in post. While bacon is cooking, wisk in a medium bowl the lime juice, sugar, fish sauce, thai chili paste, Thai chilies, shallots and garlic. Add the bacon and sprinkle cilantro on top. 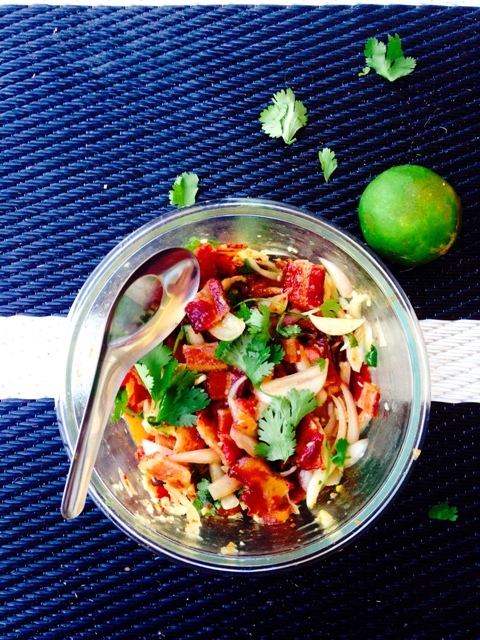 Eat it with jasmine rice, and we like it with a Thai-Style Omelette too! Yum is translated from Thai to English as "salad", but it's not really what Americans would picture as a salad, but that's because we don't have a better word to describe it. Yum in Thai can mean a room temperature protein that is mixed with herbs and shallots with a sauce base of fish sauce, lime juice, sugar, Thai chilies and garlic.